Steven (Chicagoland, United States) on 13 December 2017 in Plant & Nature and Portfolio. When leaves are as beautiful as flowers! De très jolies nuances de couleurs. Très belle ta photo ! les couleurs sont superbes ! But I prefer caladium to colocasia. It has a huge range of colours and it's fun to collect! such beautiful composition, colors & details! Splendid composition and colors ! Vibrant color and details. You have brought them to life. Great green splash here !!!!!!! Des couleurs magnifiques et lumineuses! Bonne journée. Beautiful and bright colors! Have a good day. Beautiful detail and highlights on these plants. Excellent shot. Superb detail and capture of the rich colors. It's a very interesting and enjoyable picture. Belle palette de verts ! 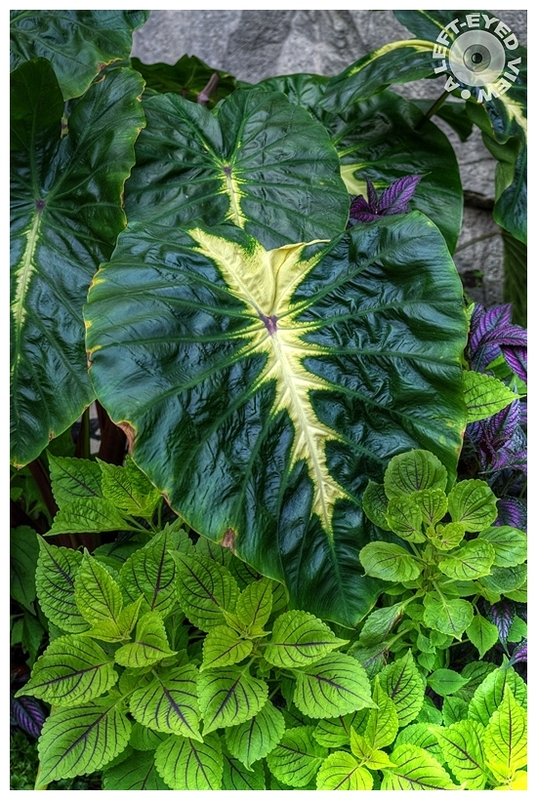 Wow, these huge leaves with their lovely patterns are spectacular! The lighter greens of the coleus contrast nicely with the deep green. Really fresh leaf.I like the colors,too. Magnifique!! Excellent liht on this leaf! Nature never ceases to amaze me ... a wonder the image and the composition! Gorgeous colors and patterns. I love all of the different shades of green. Looking out at the grey winter day, I long for sights like this. So beautiful. They are different, but they are a happy family. The level of detail is excellent.